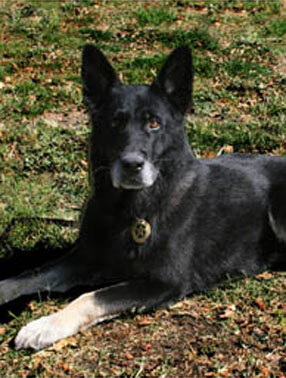 The Sacramento Police Department regrets to announce that “Leo,” a police K9 dog, passed away on Saturday, November 17, 2007, after being diagnosed with cancer. Leo, an eight-year-old German Shepherd, had been a police K9 for the last five years. Leo was responsible for the apprehension of hundreds of violent felons during his career. Dennis Joy, Leo’s handler, was recently promoted to the rank of sergeant and reassigned as a patrol supervisor. Friday night was the last shift Dennis and Leo were scheduled to work together. Leo was then to be retired out, remaining with Dennis and his family. At the beginning of their final shift, Leo was behaving oddly. Dennis took him to the veterinarian, where he was diagnosed with cancer. Tumors on his spleen had burst and invaded the blood stream. Leo may have survived a couple of months, but would have been in a tremendous amount of pain and distress. With every member of the K9 unit present, Leo was euthanized at 1:00 a.m. on Saturday. Sergeant Dennis Joy, himself a cancer survivor, battled stage 4 Hodgkins five years ago. Dennis took one year off to fight the disease, with Leo at his side throughout the ordeal. The Sacramento Police Canine Association, www.spdk9.org, a non-profit organization which provides for the care of retired Sacramento Police K9’s, will be handling the funeral service and burial costs for Leo. Leo impacted the Sacramento community not only by tracking, chasing, and apprehending violent criminals, but visiting schools and hospitals as well. He will be greatly missed.